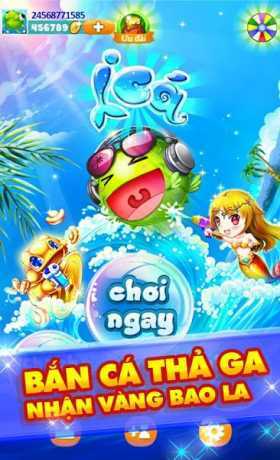 Fishing king – iCa The #1 FREE of fishing online games in VN ! 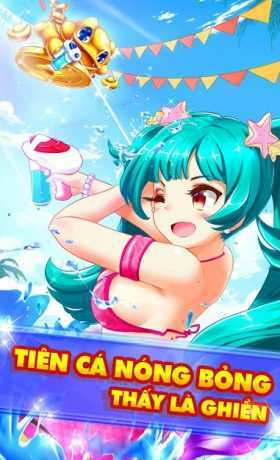 Join the battle with MILLION Vietnamese players for a FREE Fishing online game competing between 2 to 4 players per lucky game! – Fishing king ( iCa ) is an online game simulation of the coin fish game machine. it will give you the real and exciting experience from your mobile instead of sitting still and shoot nets monotonously as before. You can Aim and shoot your multi-Level power nets to catch fish and earn Gold and XP whenever and wherever you are! 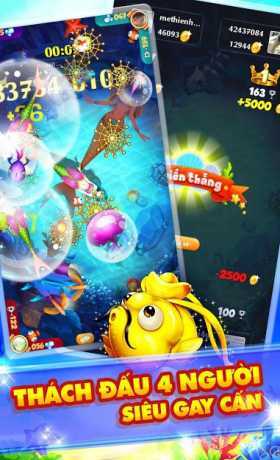 – Large varieties of colorful sea creatures, particularly, more than 11 different kinds of fish and 4 beautiful mermaids, which are the same as those in a lucky coin fish game machine. – 6 different Levels of Cannons to catch fish in fishing king game. The larger the Cannon you use, the more lucky coins you get. – The Challenge mode of 2 to 4 players cannot be missed. The winner takes it ALL! – Fishing king ( iCa ) has friendly graphics designed suit all ages which helps you fish, hunting and earn Golds at any time and any place. – The highly attractive game iCá definitely will bring you with excitement, fun much more than other hunting games. Especially the more difficult creatures you catch, the more Gold coins you get! More than REAL! – Invite friends via Zalo and Facebook and daily login with fishing online can give you Daily FREE Golds! this is one of the quickest ways to get as more gold coins as possible within the shortest time. – Much more exciting features like daily missions – battle with friends, gold exchange etc. – More than MILLION Players of lucky iCá on Zalo, come and join with us! Who gonna be the MILLIONAIRE of the Fishing king Top Chart? Don’t hestitate and Join us now, FOR FREE!